Commander United states African Command, AFRICOM, General Thomas Waldhauser has commended the Nigerian Police Force for its key role in maintaining security in the country and the entire continent. General Thomas said this while meeting the Inspector-General of Police, Idris Ibrahim at the Force headquarters. Acting President, Yemi Osinbajo says, the Buhari administration is committed to working with the United States in addressing human rights concerns and security challenges in the country. Professor Osinbajo stated this while receiving the Commander of the U.S Africa Command at the Presidential Villa. Dependence on God’s intervention in times of need is said to be crucial in any societal development. Consequently, Federal Civil Servants in Abuja converged on chapel of Hope Federal Secretariat, Abuja to lift the country before God for his intervention in this challenging time. This is to drive sustained economic development for the benefit of all Nigerians. The Presidential Committee on North East Initiative has distributed food items to Internally Displaced Persons in Gombe state with assurance for more assistance. 20 suspects have been arrested by Ekiti state police command for murder of a Superintendent of Police and other criminal offences in the state. The State commissioner of Police, Mr Wilson Inalegwu while parading the suspects said they will be prosecuted at the conclusion of investigations. Plans for the closure of the Abuja Airport and relocation to Kaduna are gearing up with various agencies crossing the T’s and Dotting the I’s. On its part, the Health Ministry is scaling up services to effectively tackle emergencies that may arise on the use of Kaduna Abuja expressway. A Coalition of fifteen Civil Society Organisations under the Civil Society Network Against Corruption have written to the National Assembly calling for early passage of Special court bill and other related bills. At a Media Briefing in Abuja the coalition said this will enhance the success of the anti-corruption war. The country Director, Nigeria programme International Rescue Committee, Sarah Ndikumana has applauded the response of humanitarian agencies to the plight of internally Displaced Persons. Godiya Daniel reports that it was while on a humanitarian and assessment visit to Bajabure Camp in Yola. To consolidate the gains of counter terrorism operations in Nigeria, Guest on Good Morning Nigeria say good governance, human and environmental security as well as reintegration of Joint Task Force are key elements to pay attention to. Nigerians have again been assured that God will continue to intervene and deliver the nation from recession, insecurity and other social vices and restore needed peace. Primate of Nigerian Anglican Communion, Most Reverend Nicholas Okoh said this at the 2017 standing Committee meeting of the Church. The National Space Research and Development Agency says, a partial solar eclipse will be visible in different degrees of totality on Sunday the twenty-sixth of February. 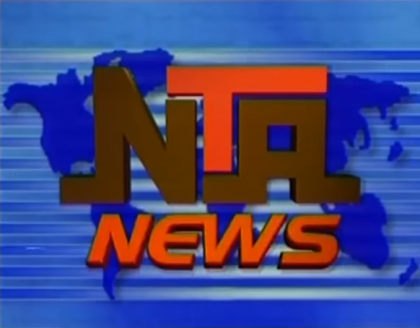 Nigerian Journalists have been urged to re-direct their focus to developmental journalism and eschew quackery in the profession. This formed the thrust of the presentation of Nigeria Union of Journalists (NUJ) 2016 Year Book and a practical guide to journalistic writing. Joseph Johnson reports that contributors called on relevant authorities to clamp down on fake journalists. The United States Military has assured Nigeria of improved intelligence sharing in addressing Boko Haram insurgency. This was one of the issues highlighted by General Thomas Waldhauser Commander, US Africa Command (AFRICOM) during his visit to the National Defence College, Abuja. The budget office of the Federation says its doors are open to all users of budget information to allay misconceptions about the document. Director General of the budget office, Ben Akabueze expressed commitment to continuous improvement of the budgetary system for optimal national development. Nigerian Society of Engineers has suggested the need for its members to be appointed as head of Ministries, Departments and agencies with engineering mandate. This was at a Forum of Engineers in the National Assembly with the leadership of the Nigerian Society of Engineers in Abuja. Kaduna State Police command says they have intensified effort to secure the release of the two Germans kidnapped at Kaganko local council area of the state. Sustained collaboration among security agencies, political actors and communities in the North – East is required to deal with the post insurgency challenge in the region. Minister of Defence Mansur Dan-Ali said this in a message to a Civil Society Organization roundtable conference on Operation Lafiya Dole. The Muhammadu Buhari’s Administration has been commended for approving the tertiary trust fund intervention budget, the highest ever to be distributed. Executive Secretary, Tetfund, Abdullahi Baffa explained its priority during talks on collaboration with the Nigerian Television Authority. Chairman of the Constitution and Electoral Reform Committee, Senator Ken Nnamani says the committee is set to hold public hearings in the six geo-political zones of the country. He made this known while explaining the committee’s activities so far. The Independent National Electoral Commission, INEC has fixed November 18th 2017 as the date to conduct Anambra State Governorship election. At its meeting this Thursday the Commission also ratified the Police report on the indicted INEC Staff at the recent re-run election in Rivers State. The Federal Government has introduced a new bond into the Nigerian Capital market. While urging investors at a conference in Lagos to take advantage of this opportunity, Acting President Yemi Osinbajo says the Green Bonds is a crucial achievement for Nigeria’s determined battle against climate change.